Let’s say that Cadillac rolls backward down a hill, hitting another car at about 10 miles per hour. The person hit had just taken off his seatbelt after parking the car, had some minor injuries, and about $3,000 in medical bills (a hospital visit and a short stint with physical therapy). If settlement negotiations fail, that person will probably file a lawsuit in the District Court of Maryland for $15,000 or less. The Cadillac owner’s insurance company will supply her with a lawyer to defend the case. With a maximum loss of $15,000, that lawyer will have a hard time justifying the massive expense required to get an expert to testify that the car accident was Cadillac’s fault (through General Motors), as opposed to the owner’s fault. That’s the type of thing you need an expert for, so the defense lawyer will probably just admit liability and fight the case on damages (essentially arguing that it was a low impact collision that could not have caused much, if any, injury). Let’s change the hypothetical: the driver of the care behind the Cadillac parked his car, grabbed his groceries and began walking to the sidewalk. He crossed in front of his car, then was hit by the Cadillac, which pinned him to his car, caused massive internal organ damage, and required several surgeries to fix. That case could very well pass the $30,000 District Court threshold, particularly if the victim has permanent injuries. In this second example, the plaintiff will file a car accident lawsuit against the driver of the Cadillac. 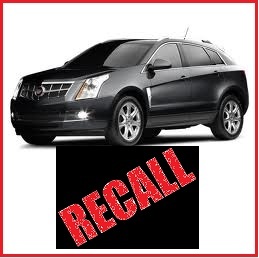 The Cadillac driver has three choices: (1) defend the case like the District Court case with no expert testimony about the defective vehicle; (2) hire an expert to argue that this was a product liability case and that the owner was not negligent; or (3) bring General Motors into the case, and have an expert testify that the accident was their fault. Here, depending on the extent of the plaintiff’s injuries and the perceived monetary value of the legal claims, the plaintiff may choose to hire his own expert to work out the defective vehicle angle. That’s going to cost a lot of money. Or else, he may just amend his claim to include the manufacturer, then sit back and let the owner and the manufacturer duke it out. Whether the jury rules that the accident was caused by driver negligence or manufacturer defect, the plaintiff has someone who will be paying his medical bills. One situation where spending money on a defect expert would be worth the expense is where there is limited insurance money available, compared to the plaintiff’s damages. If so, the car manufacturer will certainly have enough to pay the court’s final judgment.